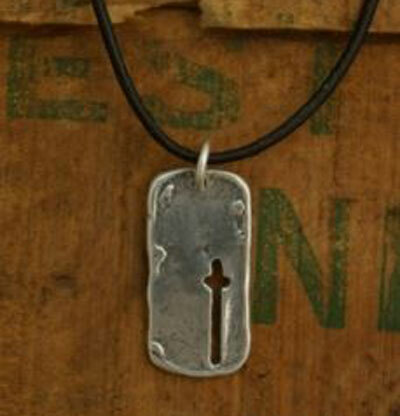 This simple piece has an elongated cut-out cross in the lower right corner. Appropriate for both men and women, this is a perfect statement of faith. Comes on a self-adjusting black leather cord. Measures 1/2" wide by 1" long.